A slapstick, rollicking mashup of nursery rhyme characters and the time-honored bedtime ritual of counting sheep. One night, a boy counts sheep as he tries to fall asleep. Sheep 101 is stuck in the fence. Will he ever get out and get the little boy to sleep? 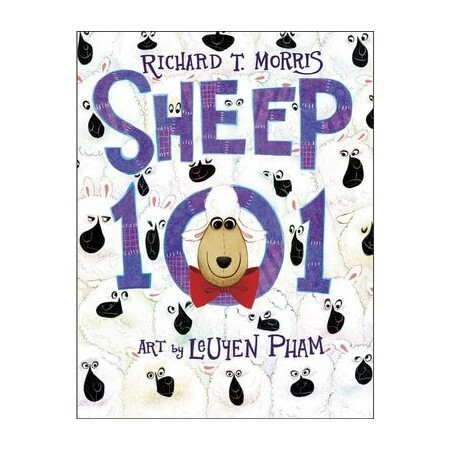 Meet Sheep 101 and his colorful cast of characters, like Humpty Dumpty, Blind Mouse, Little Piggy, and more! From Richard T. Morris, author of This Is a Moose, and beloved illustrator LeUyen comes a hilarious story with vibrant illustrations full of late-night hijinks that will spark every child's imagination. His book Churches in the Landscape (1989) is widely regarded as a pioneering classic. Time's Anvil: England, Archaeology and the Imagination was longlisted for the Samuel Johnson Prize and shortlisted for the Current Archaeology Book of the Year Award. He is completing a new biography of the aeronautical engineer Barnes Wallis, and working on a social history of interwar England from the air.